The set is full of happy kids and school favorites like a school house, backpack, scissors and more! *This set is part of my SCHOOL FAVORITES BUNDLE (formerly MARCH VIP Club). Check out this bundle at a discounted price! 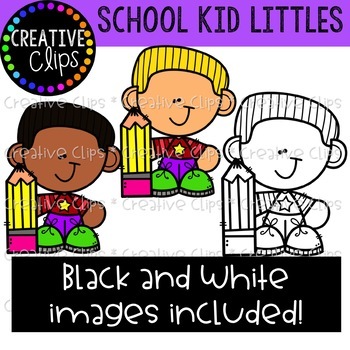 CHECK OUT THESE RELATED CLIPART SETS! If you are interested in creating digital products with moveable graphics, you must purchase my Extended License. 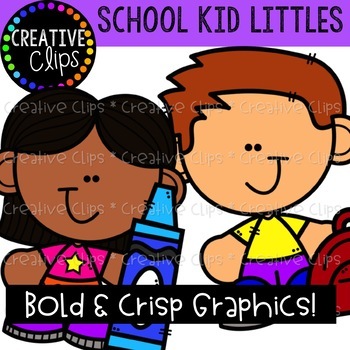 This license grants a single-user permission to incorporate Creative Clips Clipart in educational digital products with moveable pieces (*restrictions apply). Please download the preview file for specific guidelines and TOU for this license prior to purchasing. I'd be happy to answer any questions you have! You will receive these images in a zip file. Click HERE for helpful tips to download and access zip files. 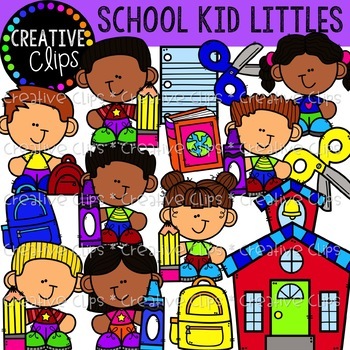 Creative Clips Clipart LLC 2018. All graphics are original artwork created by Krista Wallden.